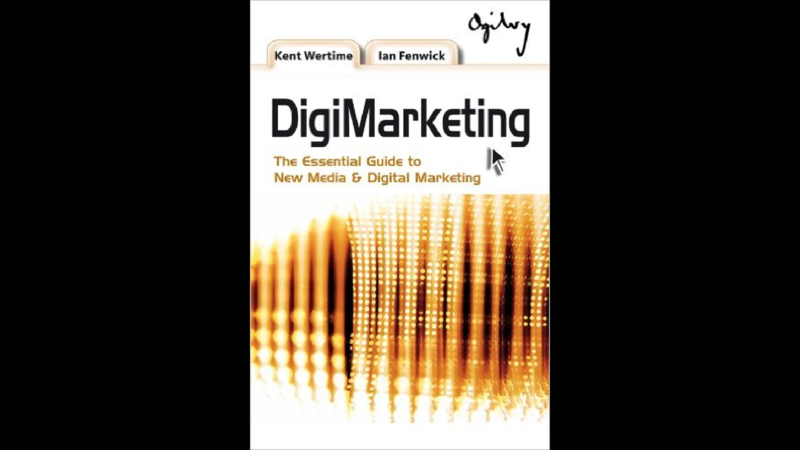 I have again visited my dusty bookshelf to review an outstanding book on Digital Marketing: “DigiMarketing – The Essential Guide to New Media & Digital Marketing” by Kent Wertime and Ian Fenwick. In the interest of full disclosure, I studied under Dr. Ian Fenwick at the Sasin Graduate Institute, and remain to this day a big fan of Professor Ian. He is a gifted teacher, researcher, and public speaker. Digital Marketing is a fast moving field and industry. The rate of change and pace of innovation continues to be phenomenal. I therefore found it quite interesting to review this “ancient” eight year old book. My goals were to refresh my knowledge on digital marketing, and also to gauge the changes that have occurred during the past 1-1/2 lustrum (yes, I’m a Rooster Cogburn fan). Wertime and Fenwick pack a lot of information and wisdom into 392 pages. They organized their book into three sections: “New Media and Marketing in the 21st Century”, “Digital Channels”, and “A DigiMarketing Planning Framework”. The Internet is a truly global phenomenon, and the core principles of Digital Marketing therefore enjoy a global relevance. One of the great challenges of engaging with a global market is to effectively use a global tool to successfully engage with prospective customers in multiple geographic and cultural markets, with different languages, different product expectations, significantly different economic opportunities and disposal incomes, etc. The digital channels are also constantly changing and evolving, and a channel which is very popular and enjoys significant penetration in one geographic market may be virtually unknown in a different market. One of the great revelations of “DigiMarketing” is in reviewing the hot Digital Marketing channels and players in 2008 compared with 2016. Google was the king of search, and remains the dominant search engine today. However, Facebook has completely eclipsed MySpace. From 2005 until April 2008 Myspace was the largest and dominant social networking site in the world, and in June 2006 MySpace actually surpassed Google as the most visited global website. Today MySpace is little more than a footnote in the history of social media, having recently been purchased by Time, Inc.
DigiMarketing isn’t a dry, boring, academic overview of the Digital Marketing landscape. Wertime and Fenwick have succeeded in creating an engaging, lively, and frequently entertaining guide to the exciting world of Digital Marketing. Examples of light-hearted and lively topics include “Cookies You Can’t Eat”, “Long-Tail Wags the Dog!”, and “Lies, Damned Lies, and Statistics”. DigiMarketing remains a fantastic Digital Marketing reference book for anyone who is involved in the Digital space, or wishes to better understand the brave new world of Digital.